Sewer Repair, Lincolnton, NC | Minyard Plumbing, Inc.
Clogged or overflowing bathroom fixtures could be the first warning that you need sewer repair in Lincolnton. Sewer Repair in Lincolnton – When you have a problem with a sewer line on your property, it can be big trouble. It might start with a toilet that won’t flush or a drain that drains very slowly, but those problems can escalate quickly if things start to back up. When water starts to back up into your home or business from a sewer line, you have two immediate and urgent issues: water damage and contamination. Water damage can be devastating, so if you believe you have a sewer line problem, call for sewer repair right away. Water is most likely to back up in the lowest point of your house, so check the basement first. Water can destroy personal belongings and furniture, as well as do damage to your house. Water that seeps into walls can cause permanent damage to wood and drywall and create a habitat for mold to form and grow. Contamination is another serious issue. Any upholstery or carpet that comes into contact with water from a sewer backup will have to be replaced because it is nearly impossible to completely remove the bacteria, and the health risks are too serious to take any chances. Prompt sewer repair can stop this from becoming a problem. 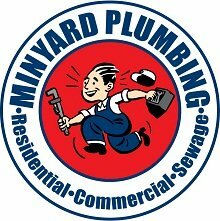 If you have a problem with your sewer lines in Lincolnton, North Carolina, contact us at Minyard Plumbing, Inc. about sewer repair immediately. Our plumbing experts use special sewer cameras to identify the source of the problem and create the best solution for you and your home or business. 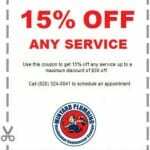 At Minyard Plumbing, Inc., we offer high-quality sewer repair services in Lincolnton, Bethlehem, Conover, Hickory, Morganton, Newton, St. Stephens, and Taylorsville, North Carolina.